Hartlepool’s Middleton Grange Shopping Centre used to be home to a Co-op department store, but the shop closed in October last year. However, in a somewhat bizarre state of affairs, the coffee shop it contained remains open. To access the coffee shop, one must walk through the empty department store. This surely makes Eugene’s one of the strangest coffee shops in Hartlepool, if not the UK. As coffee shop locations go, the back of an empty department store is hardly the most obvious or everyday choice! Despite this, it did appear to be pulling in customers – certainly far more so than the almost deserted Esquires in a more conventional mall spot! 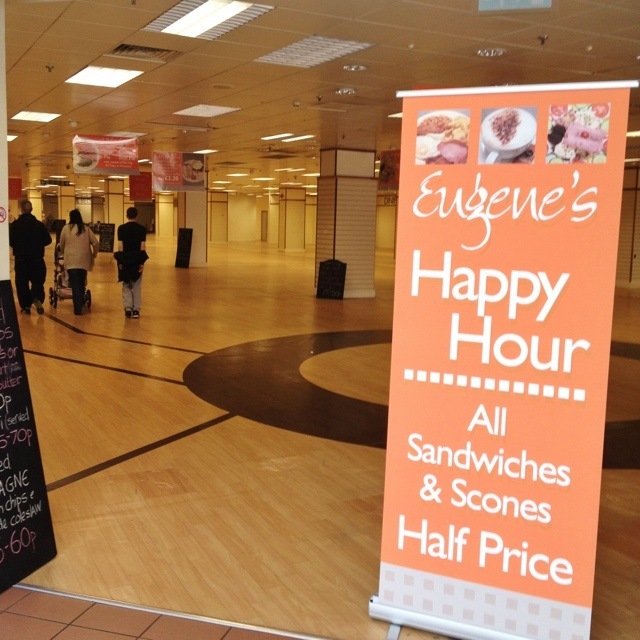 Quite what will happen to Eugene’s when the Co-op store is ultimately let to new tenants remains to be seen. This 1,705th post was filed under: Photo-a-day 2012, Hartlepool, Retail.